Join host Amy Zellmer as she speaks with author Berit Brogaard. “Brit” is a Professor of Philosophy with joint appointments in the Departments of Philosophy and Psychology at the University of Miami as well as the Network for Sensory Research at the University of Toronto. Her educational background includes a medical degree in neuroscience and a doctorate in philosophy. Her areas of research include perception, synesthesia, blindsight, consciousness, neuro-psychiatry and emotions. Brit has written over 75 peer-reviewed articles, some three hundred popular articles on neuroscience and health issues and two books: Transient Truths (Oxford) and On Romantic Love (Oxford). She is currently finishing a third book with Oxford entitled Seeing and Saying as well as working on another book for popular press. Her work has been featured in various public media, including Nightline, ABC News, the Huffington Post, Fox News, MSNBC, Daily Mail, Modesto Bee, and Mumbai Mirror. 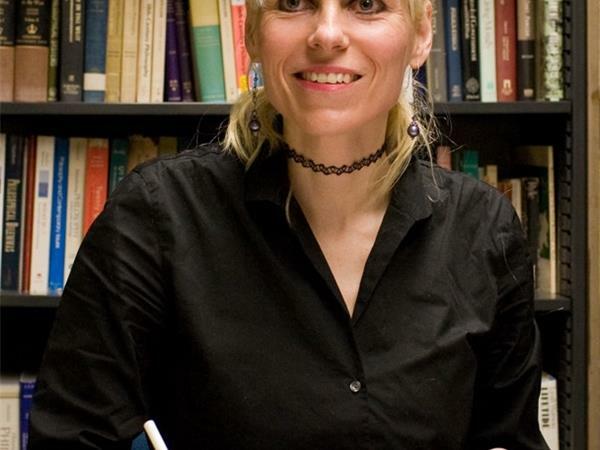 She is also an editor of the international peer-reviewed philosophy journal Erkenntnis and was the first female President of the Central States Philosophical Association. Brit has fear-color/texture/shape/motion synesthesia. She has recently co-authored a book with Kristian Marlow, The Superhuman Mind, based in part on research at the lab.